Master Ma Tsun-Kuen (1908-1993) was an academic, province governor, martial artist and general. In 1947 he emigrated to Taiwan and in 1971 moved via the USA to Argentina, where he had family relations. When once asked why he remained in Buenos Aires, he replied: “I like it here – it reminds me of China”. Master Ma started learning external martial arts as a child and trained hard in these arts for many years. In the early 1940s he met a wandering Taoist from whom he learned Tai Chi Chuan and other Taoist internal techniques. (For more on this story see the interview with Fernando Chedel). He also had contact with other Tai Chi Chuan masters: for instance he was a friend of Cheng Man-Ching. For Master Ma it was the philosophical and movement principles of Tai Chi that were most important, not a particular family style. 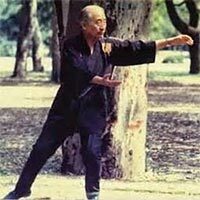 But when he started teaching he decided to use Yang-style forms as the “vessel” for these principles because, as he said, “the forms and techniques are good and already widespread”. So the forms of Ma Tsun-Kuen Tai Chi Chuan resemble those of Yang style, but are often carried out with different transitions or emphasis. There is no allegiance or reference to a particular member of the Yang school, but simply to the principles of Tai Chi (Chuan). Fernando Chedel (born 1949 in Buenos Aires) started learning Tai Chi Chuan from Master Ma in 1973 and continued this training intensively until Master Ma’s death in 1993. During this period he founded the Tai Chi Association of Argentina. 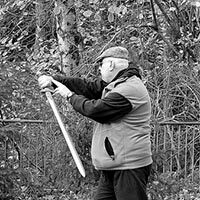 Fernando Chedel is the designated lineage holder and in 1993 changed the name of the association to the Ma Tsun-Kuen Tai Chi Chuan Association in honour of his master. Since then he has continued to train, develop and teach his art, and teaches regularly in Spain, Germany, Bulgaria and France. At the start of 2005 he moved from Argentina to Spain, giving him easier access to the growing number of European students. For more information see the interview with Fernando Chedel. In Ma Tsun-Kuen Tai Chi Chuan there is a particular emphasis on distinguishing (and then combining)yin and yang in the movements – and in the mind. This applies to solo training and to partner training and becomes ever more subtle as the training progresses. These are exercises consisting of relatively simple, repeated movements which train the physical and mental basics of Chi Kung (Qi Gong) and Tai Chi Chuan. They promote strength, flexibility, relaxation, grounding, focus, centering and the mental state of wu wei (not trying to make things happen, but acting effectively from a state of emptiness). The Tai Chi-Tsao create a good foundation for further development and can be done more or less intensively, according to need. It is followed by the long solo form, which is based on the 108 Yang-style form but with important differences in the way that moves are carried out. Done at normal speed this form takes about 25 minutes. After this it is possible to learn a fast form and a partner (san shou) form. Partner work and exercises are also an important part of Ma Tsun-Kuen Tai Chi Chuan. These start with relatively simple Tui Shou (“pushing hands”) exercises, which are a lot of fun and have both a communicative and a martial aspect. In the course of time and with sufficient interest, students progress to free Tui Shou, martial applications and san shou (sparring, fighting training). In the more established schools, lessons are divided into two categories: Tai Chi Health and Tai Chi Martial Art. The Tai Chi Health classes are ideal for people who are primarily interested in health and relaxation. The Tai Chi Martial Art classes include all the material and benefits of the Health classes and also go deeper and more intensively into the full spectrum of Tai Chi Chuan, including free pushing hands, fighting applications and relaxation under stress.